Love isn't perfect. It isn't a fairytale or a storybook, and it doesn't always come easy. 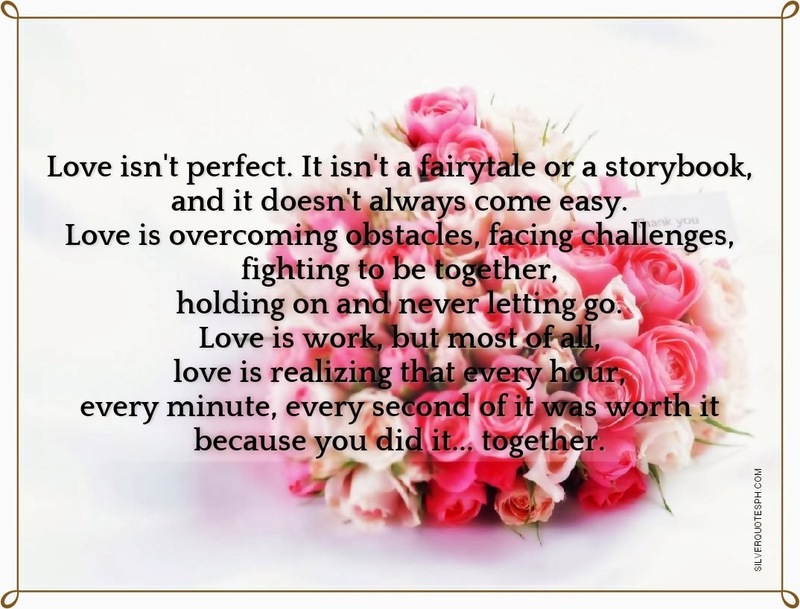 Love is overcoming obstacles, facing challenges, fighting to be together, holding on and never letting go. Love is work, but most of all, love is realizing that every hour, every minute, every second of it was worth it because you did it... together.